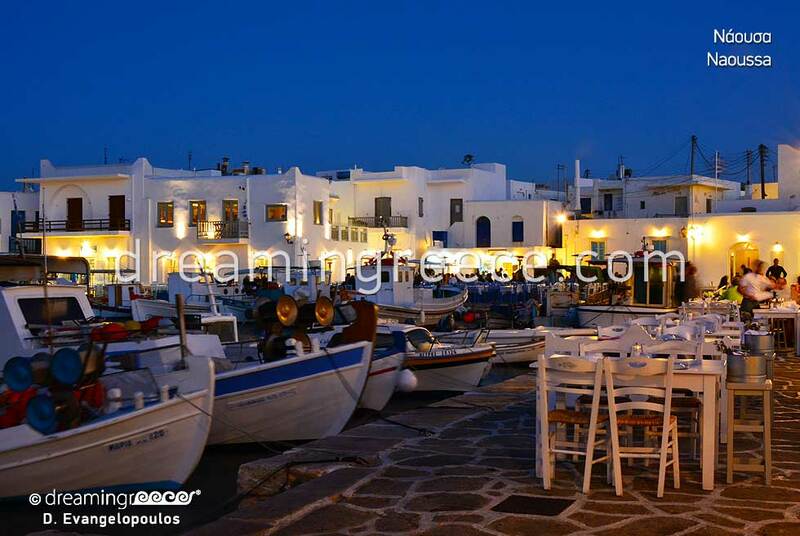 Port and capital of Paros is the cosmopolitan Parikia or Chora, which lies on the west coast of the island. 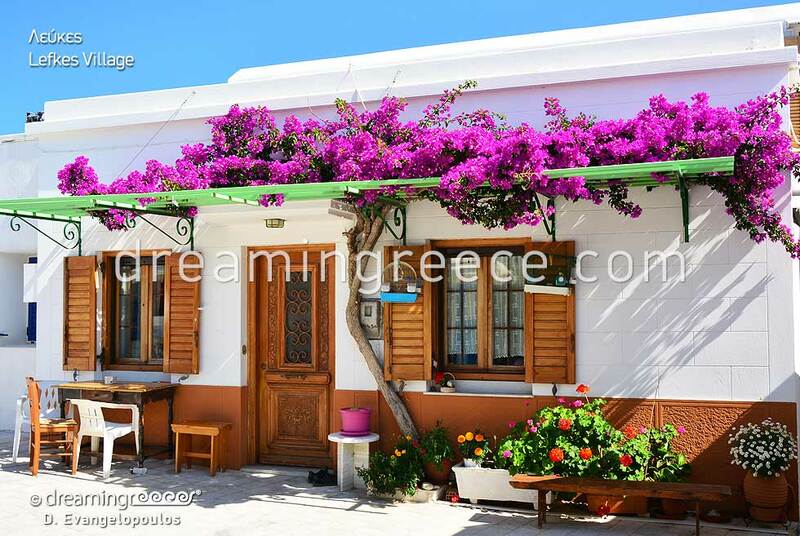 Parikia provides guests with all the comforts: tourist shops, gourmet restaurants, fish taverns, café/bars and night clubs spring up from every corner of the capital. At the entrance of the harbor, a white windmill, which magnetizes the eye, stands out. 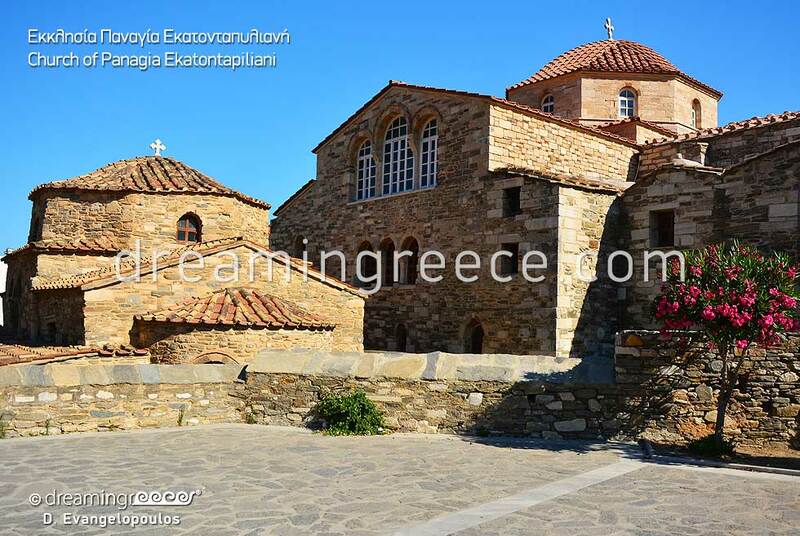 Trademark of Parikia is the church of Panagia Ekatontapiliani, which, according to legend, was built by Saint Helena, mother of Constantine the Great. In Ekatontapiliani the Byzantine Museum is hosted. Major attractions in Parikia are also the Archaeological Museum, the Municipal Library, the ancient cemetery and the ruins of Asklipieion and the temple of Apollo. In various points of Parikia, you will see scattered the legendary taps of Mavrogenis. 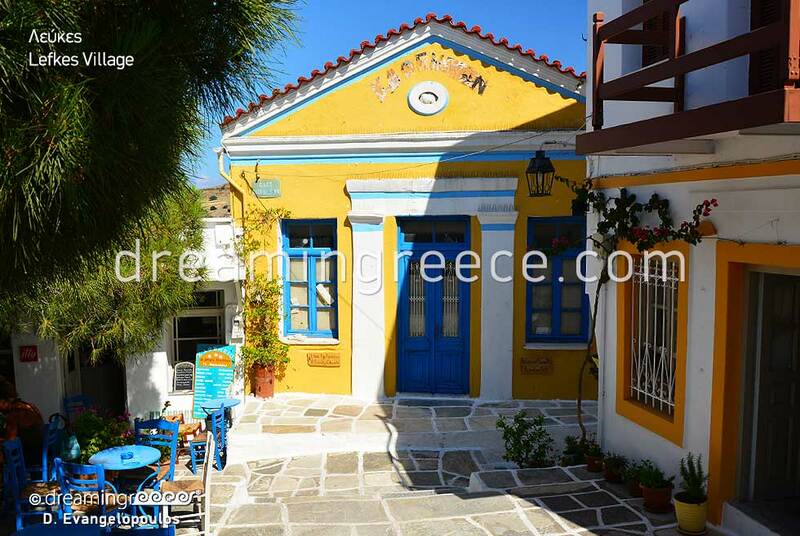 “Lose yourself” in the winding streets of the picturesque old town, which will take you to bygone times! The Venetian mansions, the white houses, the whitewashed sidewalks and the quaint chapels create a magical setting! 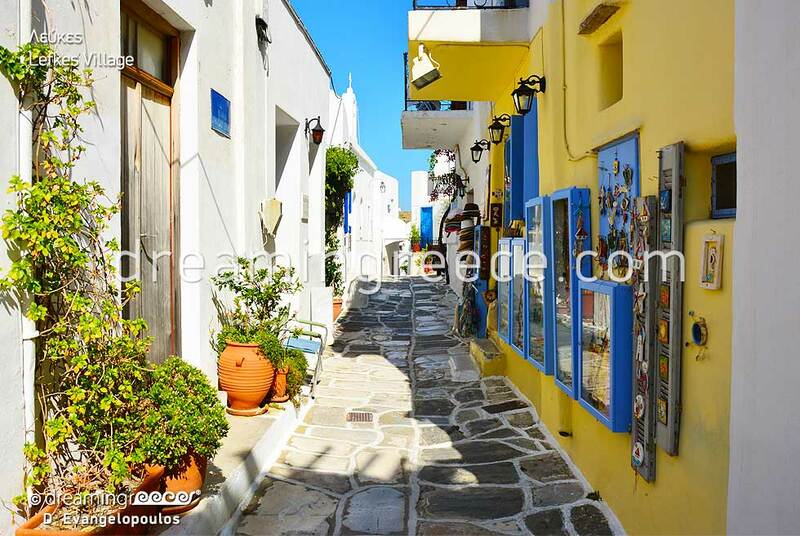 At the heart of the village stands the Castle hill, where the ruins of the Venetian Castle of Paros dominate. On the north coast of the island, the captivating Naoussa which over the years has evolved from a small fishing village into a cosmopolitan resort, lies. The image of the charming harbor with the colorful fishing boats seems to have sprung from a painting! In front of the harbor, as Naoussa’s sleepless guard, the tempest and half sunk Venetian Castle or Kastelli dominates. At the edge of the pier stands the picturesque church of St Nicholas, dedicated to the fishermen of Naoussa. Other major attractions are the Folklore Museum of Naoussa, the Folklore Museum of Vlachs, as well as the Museum of Wine and Vine. Also interesting is the historical monastery of Agios Athanasios in Protoria; part of which has been converted into a Byzantine museum. 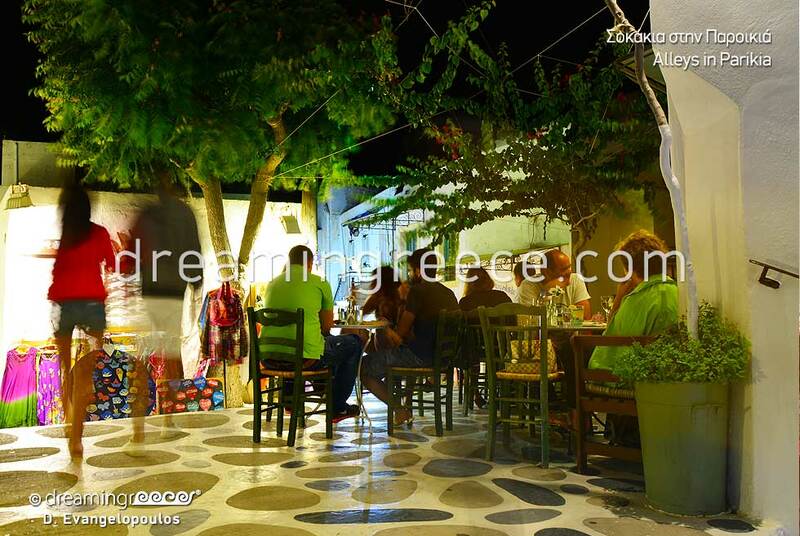 In Naoussa you will find many beautiful ouzo taverns, as well as atmospheric bars; a harmonious blend of traditional and modern life. 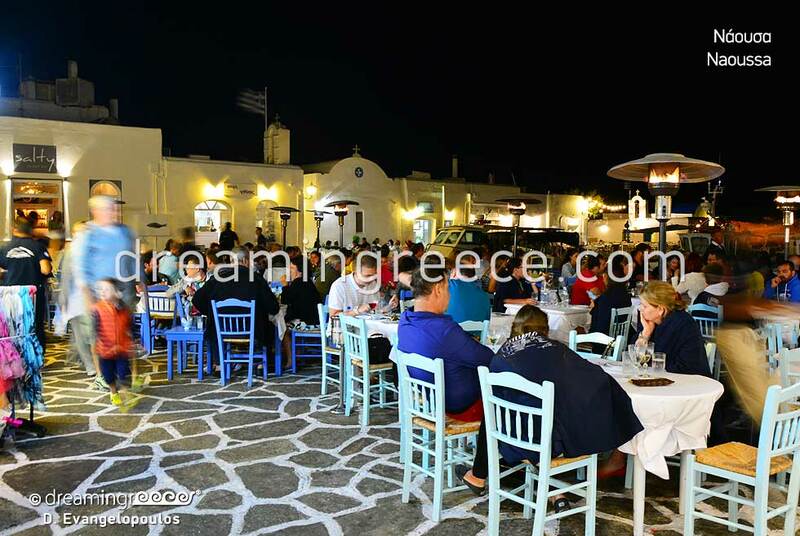 Naoussa is famous for hosting summer events such as the feast of fish and wine; the first week of July; and Koursariki Night on August 23. 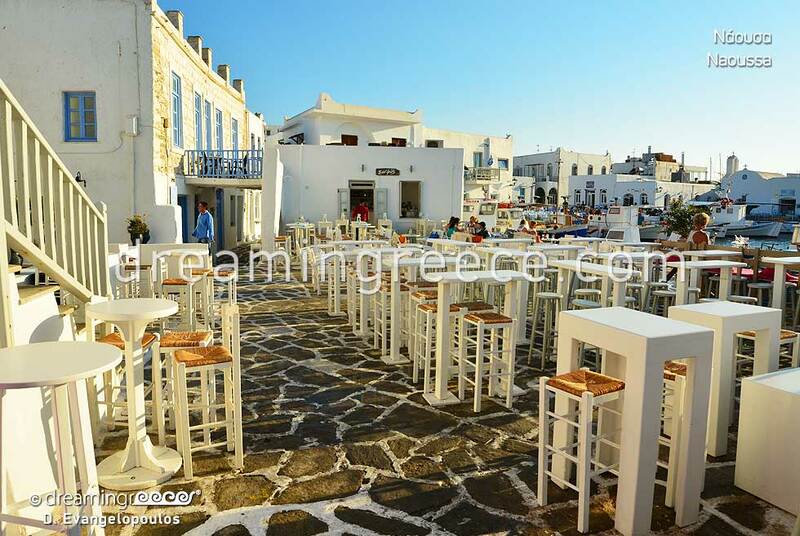 Paros, this multifaceted Cycladic island, has a charming and yet unpretentious character that classifies it between the most beautiful islands of the Aegean! Do not miss the chance to find it out for yourselves! 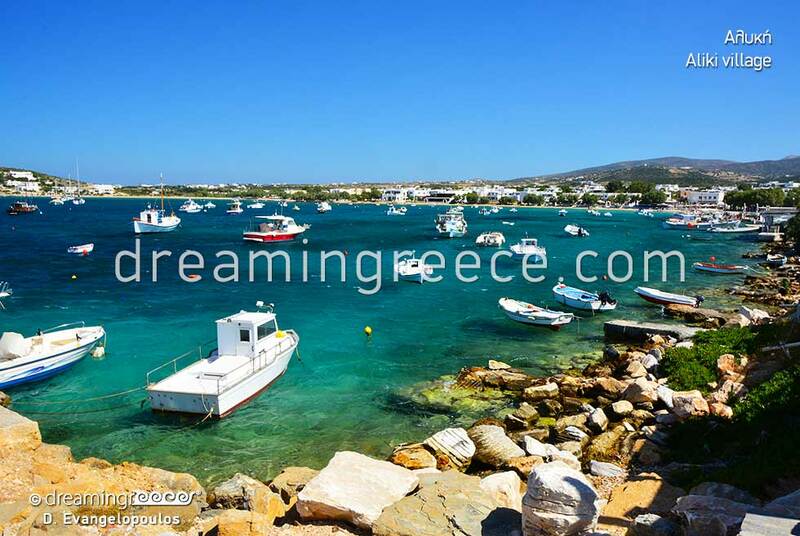 Besides the beautiful sights and the cosmopolitan life, Paros boasts some of the finest beaches in the Cyclades. On the north coast of the island, west of Naoussa, Kolymbithres beach is located. A lovely beach, renowned for its wild beauty: sculpted granite rocks intrude into the sea, creating an image the like of which does not exist! 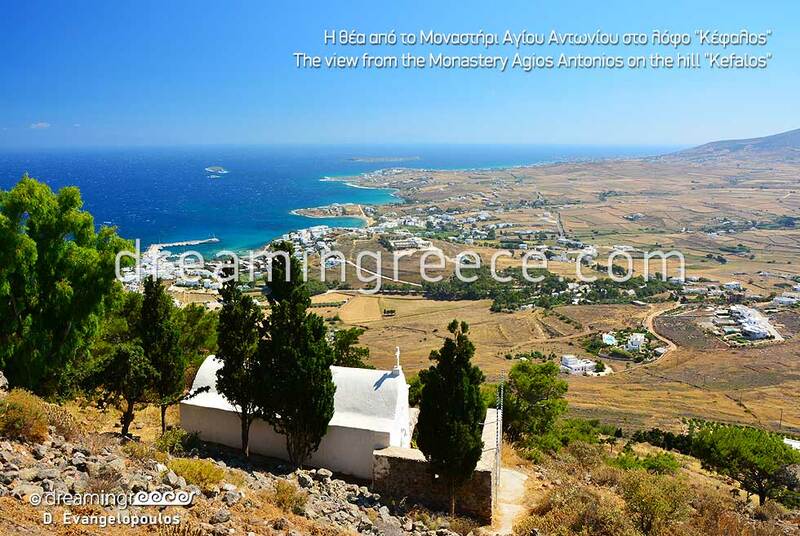 Nearby, there is the Monastery or Agios Ioannis beach. 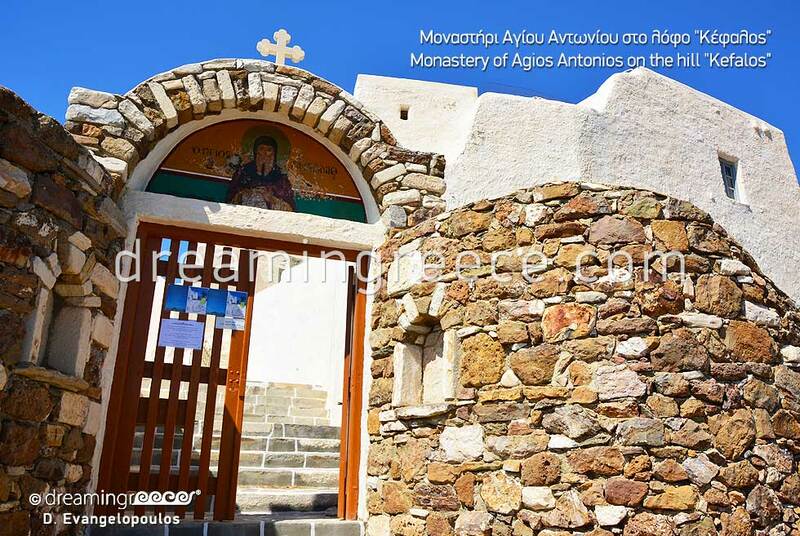 On the north side of Paros, east of Naoussa, Xifara and Lageri beaches are found. On the east coast, the beach of Santa Maria, which is famous to surfers lies. On the same side, Glyfades and Tsoukalia beaches are ideal for those who love tranquility and isolation. A little further, on the south, you will find Kalogeros beach, famous for its clay concentration; perfect for natural peeling. Amongst the most beautiful beaches of the island Chrysi Akti (Golden Coast) and Lolantonis beaches are included. 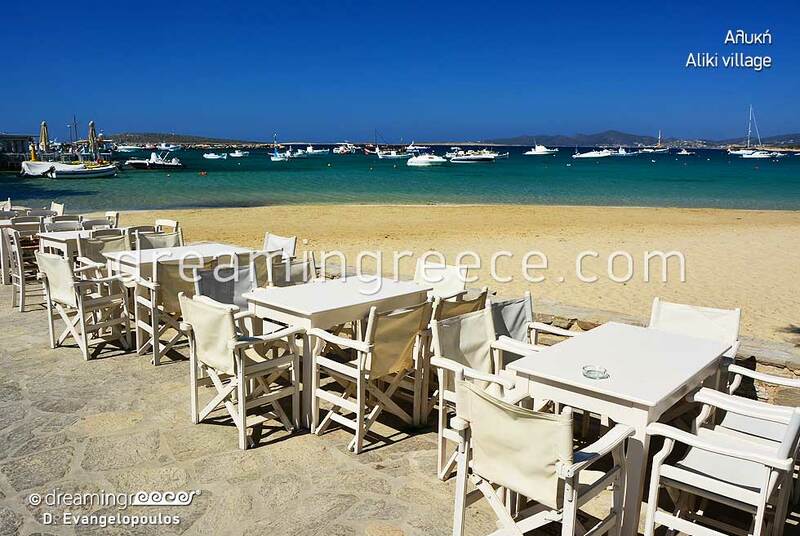 On the south side of Paros, there is the cosmopolitan Faragas beach and Aliki beach. Finally, near Parikia, you can find many beaches covering all tastes, including Krios, Livadia, Parasporos and Martselo beaches. 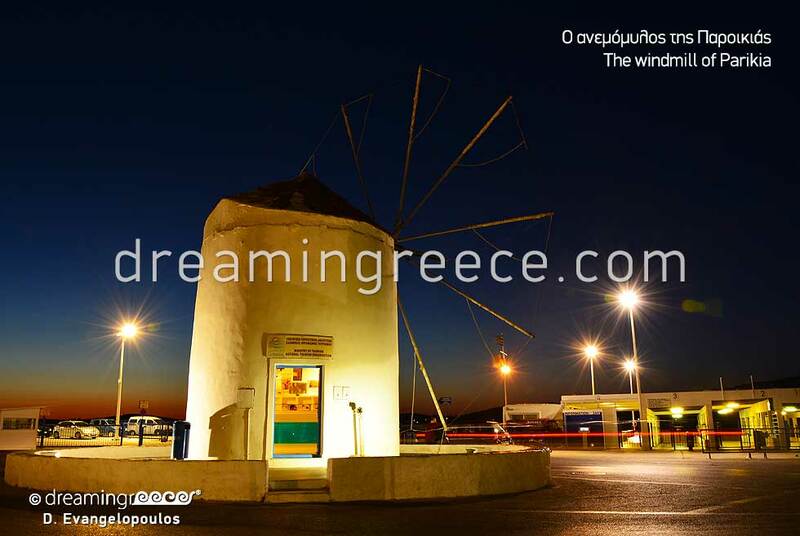 Paros can be reached by air from Athens International Airport - Eleftherios Venizelos with a direct flight or from Thessaloniki via Athens. For more information click here. You can reach Paros by boat from the ports of Piraeus and Rafina with the ships of Blue Star Ferries, Hellenic Seaways and SeaJet. 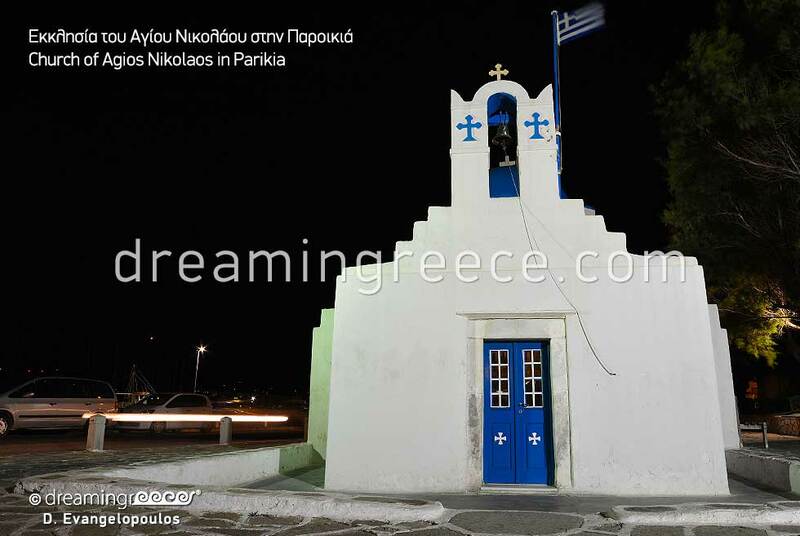 Paros is connected by boat with: Antiparos, Syros, Tinos, Mykonos, Andros, Sifnos, Serifos, Milos, Kimolos, Folegandros, Sikinos, Naxos, Ios, Santorini, Small Cyclades, Amorgos, Anafi, Astypalea and Heraklion Crete. For your transportation on the island you can use the Intercity Buses (KTEL Bus of Paros) as well as taxies. For more information of the bus routes, click here.